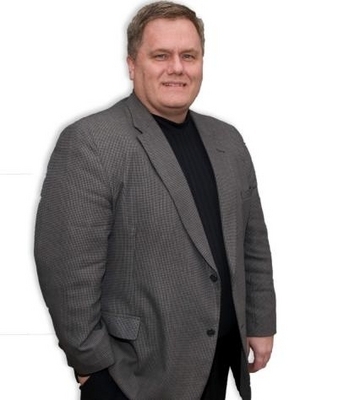 Biography »Frank Agin is the founder and president of AmSpirit Business Connections, an inexpensive, part-time franchise concept that empowers entrepreneurs, sales representatives and professionals to become more successful through networking and developing stronger business relationships. Since 1997, Frank has transformed AmSpirit Business Connections from a small nucleus of business groups scattered across the Columbus, Ohio area into an iconic network of entrepreneurs, sales representatives and professionals throughout the United States. As AmSpirit Business Connections has grown, Frank has established himself as an authority on professionals networking and business relationship development. He has written dozen of articles and given countless presentations on these subjects. In addition, Frank is the author of a book entitled Foundational Networking: Creating Know, Like & Trust For A Lifetime of Extraordinary Success, which is the culmination of his life experiences, observations and research as it relates to professional networking. He is also the co-author of LinkedWorking: Generating Success of the World's Largest Professional Networking Website (which provides a strategy for being successful with social media websites) and he is the co-author of The Champion: Finding the Most Valuable Person In Your Network (a business fable about bad networking gone good). 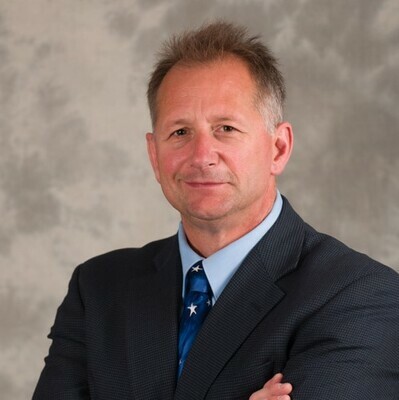 Frank has a law degree and MBA from The Ohio State University as well as an undergraduate degree in Economics and Management from Beloit College (Beloit, WI). He started his career as a tax consultant with Coopers & Lybrand and spend over 10 years in private law practice working with emerging business enterprises. Biography »Tom Anderson has over 20 years of experience in working with businesses and organizations on making better use of their technology and marketing efforts. In 2004, he founded Excelleweb, an interactive design and web marketing firm. Prior to Excelleweb, Tom managed and marketed technical education centers offering courses by Microsoft, Novell, IBM, and Lotus Corporation. On behalf of his clients he has focused on web strategy and development, online marketing, and capitalizing on Social Media. Working with organizations like The Columbus Foundation, Capital University Law School, Atlas Butler, and Elmer's Glue, Tom has helped them align their marketing and web strategies to maximize positive results. Tom has authored and presented numerous seminars including Web Site Success, E-mail Marketing Principles, and What Every Business Leader Should Know About Social Media. 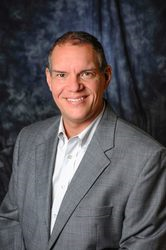 With AmSpirit Business Connections, Tom has been a member since 2001 and a Director since 2004. In that time, he has assisted countless Chapters, members and other Directors to achieve more success through networking. Tom attended both The College of Wooster and Otterbein University and holds a BA in Business Administration/Marketing. Biography »Dean Curry owns Curry & Associates, Inc. based in Columbus, Ohio. It is a cash flow acceleration resource for businesses of every size and service. Every service they provide is designed to get a business’s revenue quicker, easier, and at the best possible cost. While technology - hardware, software, and partner companies - is an important part of their offerings, their total focus is on getting your cash flow to you quicker. 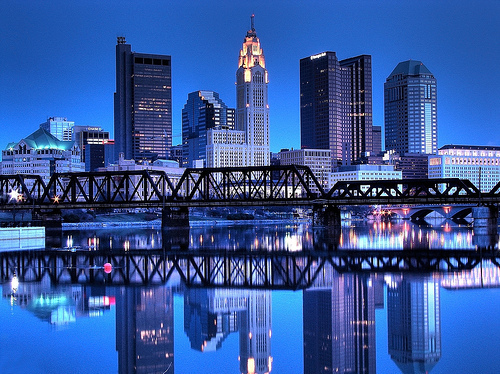 Curry & Associates, Inc. began business at their primary location in Columbus, Ohio in 1999. They have customers not only in Ohio, but throughout the United States and Canada, to whom they provide the widest range and most advanced transaction and collection systems available. Through their own resources and those of their partners, they can provide very powerful cash flow acceleration relationships and value added services for their merchants. He grew up in Hilliard, OH a suburb of Columbus, OH and graduated from Hilliard High School. He is an Eagle Scout from Troop 49 in Upper Arlington. In 1987, Dean graduated from Ohio University in Athens OH with a Bachelor of Science degree in Communications. While at Ohio University, he worked in the Radio and Television section of the Communications school doing broadcasts of the universities football games. He also worked during the summers as an on air radio personality. Dean is also active in the business community through the business membership with the Dublin and Powell, Chambers of Commerce. Curry & Associates Inc. has an A+ rating with the Better Business Bureau. In addition, Dean is an active member of AmSpirit Business Connections, which is a leading networking organization. He began his business late in 1999 and joined AmSpirit soon after. 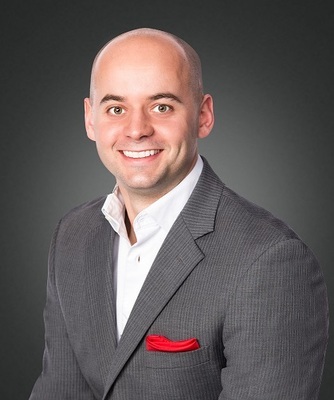 He became an Area Director in 2004 and has enjoyed creating hundreds of business relationships and connecting businesses to potential business. Away from the office, Dean enjoys spending time with his wife, Nancy. They have been married for 14 years and love to travel when time and money permit. They are currently living in a community just north of downtown Columbus. It is here they enjoy walking to the many restaurants, shops and art galleries. Dean is an avid Ohio State Football and Columbus BlueJacket Hockey fan. He has been a season hockey ticket holder since the inception of the Blue Jacket franchise and enjoys traveling to other cities to see them play. Dean prides himself on providing cost‐effective and personal support of his merchants. He would like to thank his wife, parents, family and friends, for their continued support in helping him achieve his dream of owning and operating a rewarding and successful small business. Biography »Bryan Mulvany is a Regional Director for ANC Inc. He has also been a local real estate agent with HER and the head men's soccer coach at Grove City High School. In keeping with his personal beliefs of both giving back and paying forward, he continues to serve the community as a Grove City Chamber of Commerce Ambassador and as a local volunteer. rnrnWhen Bryan had no business being in business, it was an AmSpirit Chapter that took him under their wing and helped teach him the ropes. Bryan treats people like an extension of his own family and does everything in his power to help them achieve their desired results. They also have some fun and a few laughs along the way while working with him!rnrnBryan is part of three generations of life-long Grove City residents. He lives there with his wife, Courtney, their daughter, Carolyn, and their two dogs, August and June. When not working or spending time with friends and family, Bryan enjoys traveling, eating, and watching college football. Biography »Shannon Walker is the President of Walker Promotions, a one-stop-shop for all business marketing needs. She operates out a location in beautiful downtown Newark, Ohio and recently celebrated her business' 5th anniversary. She credits her success to strong networking as well as giving her customers superior service and products. Outside of business, Shannon currently is very active. She currently serves on the Little League International Board of Directors with over 22 years of volunteer service. 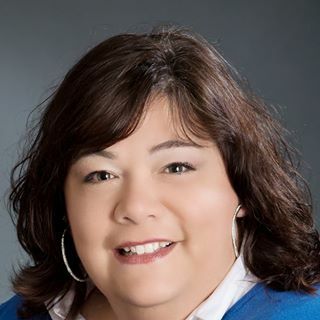 She is also President of the Downtown Newark Association, Vice Chairman of The Licking County Coalition of Care, Member of the United Way - Poverty Panel, Advisory Board Member of the Central Ohio Technical College, Member of the PR Committee for the Licking County Humane Society, Steering Committee for the Hometown Heroes of Licking County, and a member of the Newark Rotary Club. Shannon is a married to Steve Walker and together they have two wonderful adult children and one granddaughter. Biography »Gina Winterstein is president of Panagea Networks. Panagea Networks is a telecom distributor, holding agency arrangements with more than 40 carriers, globally. With more than 20 years of working experience and proven results, we are able to provide our knowledge to our customers. When making decisions we will take into consideration the questions you didn't even know to ask. We will place customers in solutions that meet their needs with pricing that fits their budget. Let us project manage your next solution. You have a choice of who you want to work with and who manages your telecommunications accounts. Whether it is pricing out a large MPLS network, project managing a new VOIP solution, moving service from one carrier to another, moving your office or establishing brand new service, we want to be the professional you trust to take care of the details for you. is to bring to bear, on your behalf, the knowledge and skills we have as experienced Telecom Distributors. We take pride in our practices and our quality of work. We feel you are a vital participant in your communication solutions. We want to help you make informed decisions about the benefits and features of the technical decisions you will face. We can help you determine which preventive services, and periodic telephony health checks are right for you. Many chronic issues, such as cost/billing, busy signals, bandwidth requirements will require a schedule of regular follow up to evaluate the solution that is truly best for your organizations on-going success. We consider it a privilege to help you understand what modern technology practices can offer you. In today's highly competitive business environment, growing businesses must continually strive to increase revenue, penetrate new markets, and maximize productivity while controlling costs and keeping customers satisfied. Panagea Networks is dedicated to helping our customers create new opportunities for growth and new sources of profitability by developing tailored business solutions to meets their business needs. Panagea Networks is a national organization, with customers spanning multiple industries. We understand that a business solution is more than just technology … a business solution is based on your business strategy, objectives, and competitive challenges. Panagea Networks enterprise business solutions enable our customers to transform the way they interact with their customers, suppliers and partners. www.panageanetworks.com , gina@panageanetworks.com or call 614-794-3500. You can also find us on Facebook, and LinkedIn . http://www.linkedin.com/in/panagea.